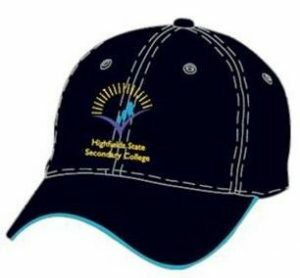 Red Oak is your go-to for custom school hats Toowoomba. Boasting high quality, fade resistant materials, endless colour options and fully customisable with your school’s logo – Red Oak is Australia’s leading custom schoolwear company. Keep reading to find out why schools in Toowoomba and around Australia love working with Red Oak – or contact us today to get a quote and start your order. Enquire online here or call us on 1300 734 708. We’re here to help! 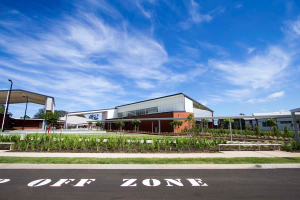 Highfields State Senior College on Toowoomba’s northern outskirts is great example of the modern Queensland state college, with a very professional approach to both learning and presentation of the school “brand”. The school opened in 2015 and has expanded quickly in an area of the Darling Downs that has experienced high growth. While Red Oak were not involved in the school original uniform design process, we wanted to ensure that the colour palette and headwear designs would give a consistent, slick look when worn with the uniforms. The uniform look good and present well, but they had been let down by poor quality accessories, including the mandatory school hats worn by every student. So Red Oak were asked to provide some better options for basic sports and formal headwear. Red Oak are experts at helping you choose the right material and design for your school hats. We like to know both the functional and aesthetic requirements of the headwear before we recommend the right solution for your school. In this instance, our micromesh fabric range was chosen to give a durable and yet lightweight and comfortable hat, something the kids want to wear and parents are happy to buy – and at prices that won’t break the bank. 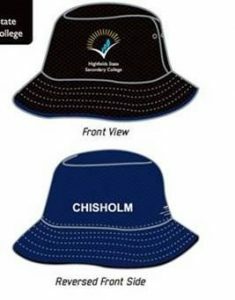 A school cap was ordered first, and while not meeting the appropriate standards it is used as an active sports item and supporters cap which has seen very good sales for the P&C. To give the best in sun safety, a wider brim is required and our reversible bucket hats fit the bill perfectly for general day wear. Using the reverse side in house colours on sports days makes identifying different house groups an absolute piece of cake. A new formal hat has now been requested and the micromesh will be used again for the foam backed wide brim hat for formal occasions. But the job is not quite done yet, it gets cold in Toowoomba! 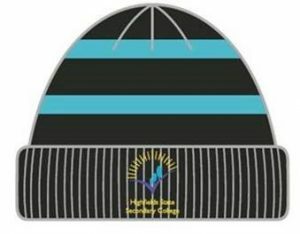 A beanie and a scarf would be natural uniform accessories in colder climates and Highfields is now considering colour matched designs for the uniform. The school also intends to use this as a great revenue raiser for supporters. It will be a terrific look when the teams take the field and the Highfields crew are there in support! Knitted to the school design in all acrylic yarns, beanies and scarves will be a great accessory to the school uniform. Highfields State Senior College now has an impressive colour matched range of headwear for all seasons. Not only do they provide great protection and an impressive, consistent presentation of the school brand – with the added bonus of being some of the most durable hats on the market, without a hefty price tag. To find out how Red Oak can help you develop custom headwear solutions for your school, contact us today. Don’t settle for poor quality school headwear and accessories! Red Oak Uniforms is Australia’s leading supplier of custom sschool uniforms and accessories. We offer a personalised service and take the time to listen to and understand your needs. We use premium materials and only partner with the world’s best suppliers.